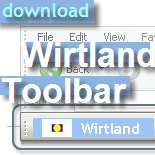 Wirtland Toolbar is a free utility for Internet Explorer or Firefox browsers. 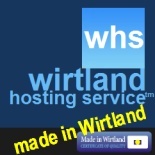 It helps to stay connected with Wirtland, receive latest updates, communicate with members of Wirtland community. Wirtland Toolbar offers several types of Google-powered search, news ticker, and other handy features such as weather in your city or possibility to check all types of e-mail. An extra feature of Wirtland Toolbar is its unique radio. The radio has a predefined selection of stations, offers a set of local stations in your language, and possibility to find and add any station according to your taste. Safety was checked by TRUSTe and Wirtland's IT experts. Go to download page or install instantly. The Government of Wirtland is pleased to announce the appointment of Mr. Pablo Alabarce Morales as Honorable Consul of Wirtland for Argentina. The Honorable Consul of Wirtland, based in Buenos Aires, will be responsible for external affairs of Wirtland in Argentina and other countries of Latin America. He will also serve as official press and information representative of Wirtland, and key contact person for mass media in Latin America. Mr. Pablo Alabarce Morales is a publicist and directs a marketing communication agency in Argentina. As an active entrepreneur, he has been involved in development of Wirtland's organizations since 2008. He studied at UCA (Universidad Católica Argentina) and received his Master degree in USA. He is fluent in Spanish, English, and Portuguese languages. El Gobierno de Wirtland se complace en anunciar el nombramiento del Sr. Pablo Alabarce Morales como Honorable Consul de Wirtland en Argentina. El Honorable consul de Wirtland, con base en Buenos Aires, será responsable en los asuntos externos de Wirtland en la Argentina y otros países de Latinoamérica. Tambien tendrá funciones como prensa oficial e información representativa de Wirtland, siendo persona clave para los medios como vocero en Latinoamérica. Pablo Alabarce Morales gerencia una agencia de comunicación y marketing en Argentina ya que es publicista. Siendo un activo emprendedor, ha estado relacionado en el desarrollo de Wirtland desde 2008, creando algunas de sus instituciones. Estudio en la UCA y posee una especialización en Estados Unidos. Pablo domina fluídamente Español, Inglés y Portugués. O Governo de Wirtland compraze-se em anunciar a nomeação do Sr. Pablo Alabarce Morais como Honorable Consul de Wirtland em Argentina. O Honorable consul de Wirtland, com base em Buenos Aires, será responsável nos assuntos externos de Wirtland na Argentina e outros países de Latinoamérica. Tambien terá funções como imprensa oficial e informação representativa de Wirtland, sendo pessoa finque para os meios como vocero em Latinoamérica. Pablo Alabarce Morais gerencia uma agência de comunicação e marketing em Argentina já que é publicista. Sendo um ativo emprendedor, tem estado relacionado no desenvolvimento de Wirtland desde 2008, criando algumas de suas instituições. Estudou na UCA e possui uma especialización em Estados Unidos. Pablo domina fluídamente Espanhol, Inglês e Português. Valentine Day is not an official holiday in Wirtland. However, it's a good day to start the new "Miss Wirtland 2010" photo contest. The organizers are happy that the first winners of Miss Wirtland 2009 became real celebrities not only in Wirtland, but internationally. The contest's wide international coverage ranges from lifestyle magazines to PC World, and from live show on Bulgarian TV to CNN, and probably we will see even more media attention. The coverage is very important for Wirtland, and it has already attracted numerous new citizens to Wirtland. This achievement is to a large extent thanks to our contestants. The organizers are sure that the new competition will bring even better results, and will become Wirtland's tradition. To submit your entry to Miss Wirtland, simply rename one or more of your photos uploaded to your Witizens profile, adding "Miss" to the title of photo, like, for instance "Miss Ann". Or, even more simple, email the photo to Wirtland's PR manager Cris. So, what are you waiting for? After Bulgarian girl's victory in Miss Wirtland Contest received wide coverage in Bulgarian newspapers and TV, several articles on Wirtland appeared in leading Turkish mass media, such as "Sabah", "Hurriyet", "Aktif Haber", "Milliyet", "Sok", and even CNN Turk. Turkish journalists coined a new word to better represent Wirtland in eastern languages: "Hayalistan". Coverage in Turkey already resulted in increase in new citizens signing up in Wirtland - not only from Turkey but also from such countries as Egypt and Afghanistan. Welcome to Wirtland or Selam, Hayalistan! P.S. Explanations of the meaning of the word "Hayalistan" will be appreciated - as comments to this post. You may also visit the website of the Bulgarian bTV channel to watch the Wirtland video and learn more about bTV and its daily show "This Morning", which invited and interviewed the three Witizens. If you are a patriot of Wirtland and have got something to tell the world, here is the place to post your saga. GotSaga.com became the first Wirtland's partner website, which features Wirtland in its official country list. GotSaga.com is an international social network which is about sharing experiences, telling stories, and swapping pictures and videos. Now, the new members signing up at GotSaga.com can select Wirtland from its country list, and proudly register themselves as citizens of Wirtland! 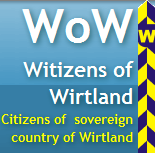 Members, who sign up as Witizens, are automatically assigned the flag of Wirtland, pretty much the same way as citizens of any real country. GotSaga follows WitiFriends, a global personals website, as yet another member of the growing family of Wirtland's partner websites.